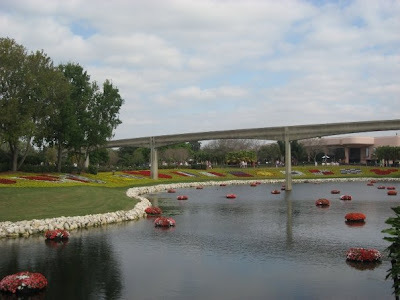 Wordless Wednesday: EPCOT Flowers | What's the Point? I personally love this shot because the floating flower beds are so subtle and so simply beautiful. It's amazing how a little addition can go a long way! Enjoy! 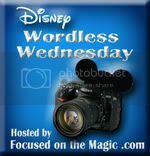 Many thanks, as always, to Focused on the Magic for hosting today's Wordless Wednesday Blog Hop! I love visiting WDW during the Flower and Garden Festival! I wish I had the skills to recreate some of the displays in my yard! :-) I love these floating flowers beds too! I love strolling around Epcot during the The Flower & Garden Festival! It's so beautiful! I'm ready for spring too! Bring it on!!! Thanks for sharing and for linking up to the #Disney Wordless Wednesday Blog Hop today! Deb, thanks for hosting! :) And yes, spring cannot come fast enough. I actually am not sure why I'm complaining though, because we've had a pretty tame winter! That's so calm & serene. You are so right - those flowers in the "lagoons" were really pretty. I can't wait to go back to the F&G festival next month! Katrina- you're going! Lucky! :) Have a great time and let us know about your favorite topiaries! Thanks Manda! They do a fabulous job at EPCOT! There was SO MUCH activity in Epcot this past weekend- thanks for sharing the finished product!! Very nice! I love looking out at the floating flowers. Sure hope I can see them again soon.